The Granite City, Aberdeen, is a great place to visit, with wonderful places to eat, spectacular buildings and marvellous museums. It is also a good base to explore the wider region and ideal for walking holidays, but you do not need to travel too far to find some great local walks. Here we share seven of the very best. 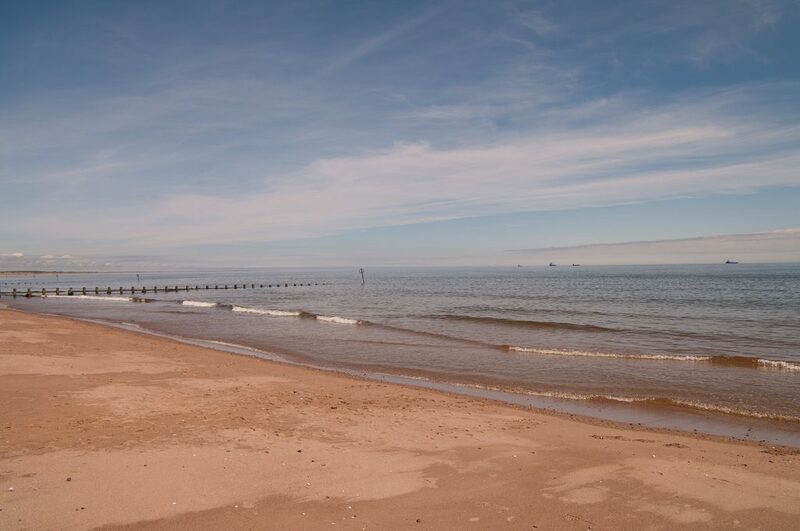 Aberdeen is the third largest city in Scotland, behind Edinburgh and Glasgow, and one thing that makes it special is the fact it has a long sandy beach — something most UK cities lack. This is an excellent walk; no matter what the season there is something to see. It is also easily either extended or cut back, depending on how fit you feel or whether you have misjudged the weather! For example, Aberdeen has a section of the ambitious North Sea Trail: a series of pathways on the coasts around the North Sea, from Norway to The Netherlands and five other nations. The Aberdeen section incorporates the Aberdeen beach walk and stretches south to Cove Bay. This is not a short stroll, but it is possible to walk sections of this 87 km (54 miles) off-road route, rather than the whole thing! Using the former railway line that stretches from Dyce, just north of Aberdeen, this means the walk is more or less flat the entire way, and also means there are no cars to contend with. The route splits into two options when it reaches the village of Maud, the longer of which heads north to Fraserburgh, and the other east to Peterhead. Expect to share the way with plenty of wildlife, as the land to either side of the former rail track acts as a ribbon-like nature reserve, encouraging all manner of flowers, trees, and the creatures that call them home. To the west of Aberdeen, Brimmond Hill rises above the relatively flat surrounding area, offering a short walk with an outstanding view as the reward for climbing the hill! There are several routes to the top, all of which are quite steep but short and the views over Lower Deeside are wonderful. The top gives a commanding position to look across at Aberdeen and the North Sea beyond; on a clear day you can see a surprising distance. On the western edge of Aberdeen sits Hazlehead Park. Apart from the popular pets’ corner, flower gardens, Scotland’s oldest maze and a wealth of other activities, Hazlehead is a wonderful place to walk, whether simply around the park, or starting here and walking out into the surrounding woods and countryside. Aberdeen has a fantastic network of core paths, linking into one another and giving the walker the ability to create their own route, depending on what they would like to see and whether they would like to walk through villages, suburbs, or fields. A city walk that at times feels like a country one and at others feels as though you are walking through a very different city to the rest of Aberdeen, Old Aberdeen is full of fascinating buildings and hidden places to see, and a walking tour of this area makes perfect sense. 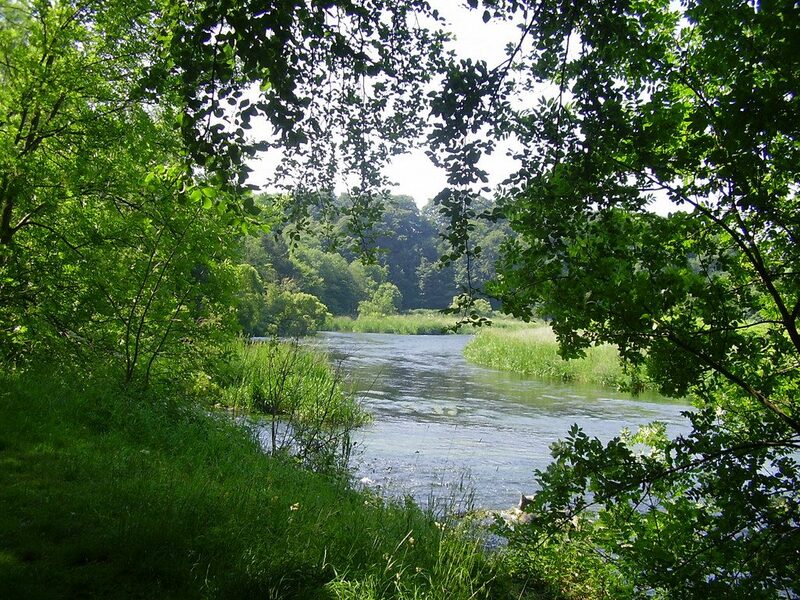 To the north of the area is the sprawling Seaton Park, and one of Aberdeen’s two famous rivers: The Don. Walking along the river through the peaceful park, it is easy to forget you are in Scotland’s third city! From one of Aberdeen’s two rivers to the other. The Deeside Way, as the name suggests, follows the River Dee, all the way to Ballater in the west. Keeping mostly to the north bank of the river, this walk is principally along the bed of the Deeside Railway line. As with the Formartine and Buchan Way, the loss of the rail tracks means a relatively flat and easy walkway, in this case stretching for 66km (41 miles) and passing through some beautiful countryside. The walk starts in Duthie Park in Aberdeen and passes through Banchory and Aboyne. If you get too warm on your hike, there are some excellent spots for wild swimming! This is a beautiful short walk, looping around Forvie National Nature Reserve and along the estuary of the River Ythan. This natural haven contains dunes and a long sandy beach, with many bird species visiting the rich estuary. You can also visit Forvie Village or, more pertinently, what is left of it! This is a medieval village that was almost entirely buried after a powerful storm, with only the stone church still being visible above the suffocating sands. The walker should also look out for seals, dolphins, and terns, as well as the remains of old boats, slowly deteriorating, paint peeling, and the sand covering them.